As I’ve delved into writing in college, I’ve learned what I need to get my creative juices flowing. At this point, I can’t say I’m an expert. It’s an on-going process; I will always be learning how my creative forces in work. But this is what I have so far. First of all, the process of creating a concept and writing it out does not happen in one isolated episode. When I get an assignment or some sort of inspiration I spend my non-writing hours mulling it over. I do my best creative thinking in the shower in the car. (If you ever find me dead in a ditch down by the river next to an overturned vehicle, you’ll know I was thinking about writing.) Many a thesis, lead or theme have been conjured up well before my fingers touch a pencil or keyboard. I absolutely need a deadline for every single project. It is impossible for me to follow a “get it done whenever” mentality. If my editor does not give me a deadline I assign one to myself, because without one there is simply no hope of that project ever coming to fruition. Unfortunately, I am one of those writers who puts other things off to ensure that I meet my deadline. Usually, the thing I push back is eating. Don’t get me wrong; I don’t starve myself between those certain crucial dates, but I will not let the opportunity to eat throw off my “flow.” More often than not, when I’m on a roll I forget to eat because my creative forces simply refuse to put up with silly things like appetites. When sitting down to write, perhaps the most important thing I need is relative quiet. Some soft music gets me started, when I come to a point where I have to carefully consider details like word order I usually turn it off. Outside distractions easily derail me, sometimes if I’m on a role I close the door or put headphones in even if no music is playing. 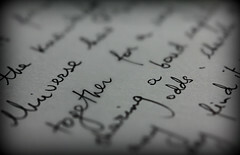 In the end, it gets written. I edit, overanalyze some of my creative choices and then edit some more. As the editing process continues, I become fixated on and tweak things that probably won’t end up making much of a difference. By the time I publish or turn it the project, there are plenty more changes I’d like to make, but I’ve consented to the thought that the project is probably better than I think it is and is where it’s supposed to be. I think that’s something all writers share. Fellow friters, I’d like to hear from you. What does your writing process look like? Leave a comment below! An artist’s legacy leads not only to devotion, but to more art. F. Scott Fitzgerald* died over 70 years ago, but fans still pour over his writing and other artists still build and create off of his ideas. This is Fitzgerald’s legacy, and it’s still alive and kicking. Since the release of Baz Luhrmann’s adaptation of The Great Gatsby, more and more fans have made the pilgrimage to Rockville, Md. to visit the grave Fitzgerald shares with his wife Zelda. In fact, according Rev. Monsignor Robert Amey of St. Mary’s Catholic Church, the number of visitors to the site has nearly tripled in the last couple of weeks. St. Mary’s Cemetary, the couple’s final resting place, is surrounded by strip malls and busy streets, and it’s easy to pass up, according to the Washington Post article. Some leave notes or even liquor, which I’m sure Fitzgerald appreciates. And many artists still incorporate Fitzgerald’s work into their own. 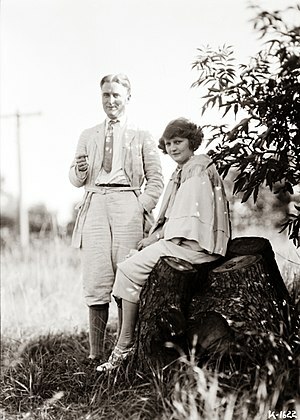 One of my favorite examples is Benjamin Gibbard’s song “Bigger than Love,” based on selections from a collection of love letters written by Fitzgerald and Zelda. Featured on his 2012 album “Former Lives,” the song covers different phases of the couple’s marriage while subtly hinting at its troubled undertones. Gibbard did not add his own commentary to bring the relationship to life. He needed only to let the bits of the letters speak for themselves. Now a new generation of readers is discovering the story. It sits atop a permanent pedestal in the American literature canon and currently holds the second-highest spot on Amazon’s Best Sellers. We can expect to see this generation go on to carry out Fitzgerald’s legacy–to let his writing affect them, thrill them and rouse them to create more works for future generations.